YPSA successfully accomplished a project “Engaging Private Sector to Increase Access and Use of Injectable, LARCs services” supported by EngenderHeath Bangladesh. 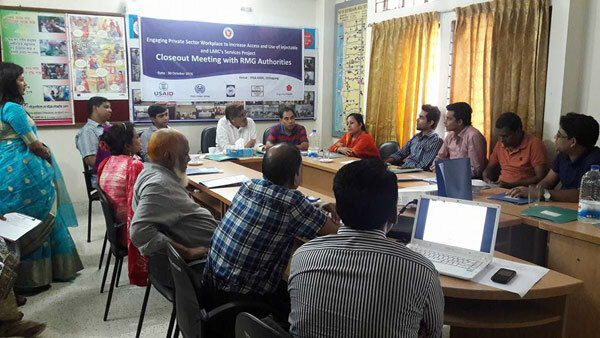 The project closeout and experience sharing meeting with Ready Made Garments (RMG) authorities was held at the YPSA head office, Chittagong on 30 October 2016. Representatives from 16 garment factories attended the meeting. Participants draw attention to continuing such type of activities since married women working in garment factories got benefited directly. Besides the bridging period, this project should be started in a broader scale as participants demanded.